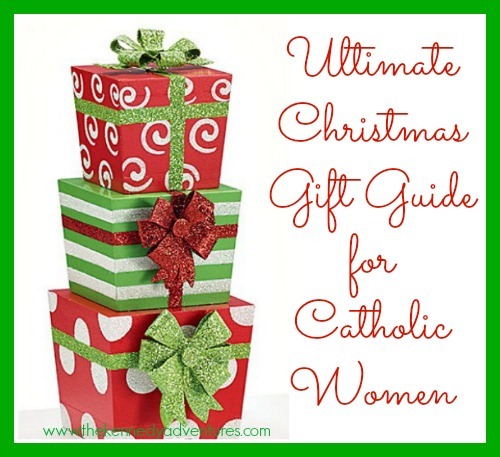 Ultimate Christmas Gift Guide for Catholic Women - The Kennedy Adventures! Are you stumped for ideas for Catholic women? 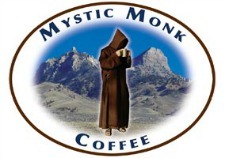 Need to buy a gift for a Catholic mother or grandmother that you know? You’ll want to check out this ultimate gift guide. 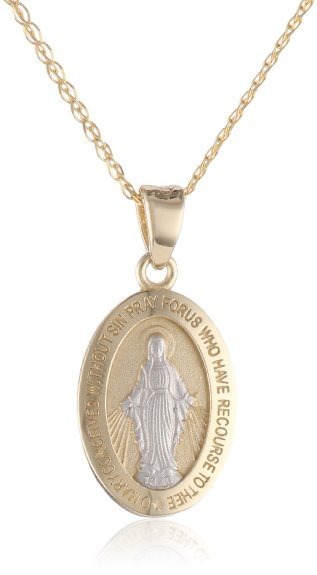 If she’s a jewelry fan, a Catholic medal is always a good choice. One of my favorites is the Miraculous Medal. You could also choose a medal of her favorite saint. 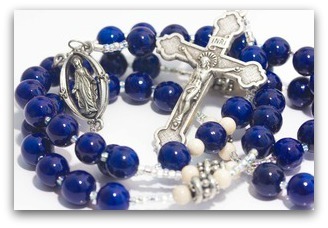 Hands down, my all time favorite Rosaries are from Trendy Traditions. Melanie pours herself into her work, and you’ll get a hand crafted, personalized work of art to cherish forever. I have quite a few new Catholic books on my Christmas wish list this year. 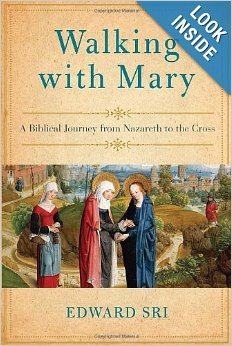 Over on the Resources for Catholic Women page, you’ll find all sorts of book ideas for Catholic women. There’s books for converts, books for Catholic pregnancy, books for adoptive mothers and more. If you’re looking to splurge, you could even purchase a Kindle or iPad, so that she can have her books with her everywhere she goes. Someday, when I decorate my house, I’ll have religious art on the walls. One of my favorite artists is Liz Lemon Swindle. Wouldn’t this print be amazing in a nursery? Don’t forget an iPod and earphones so that she can listen while she’s working out. You’ll get points for creativity with this gift. 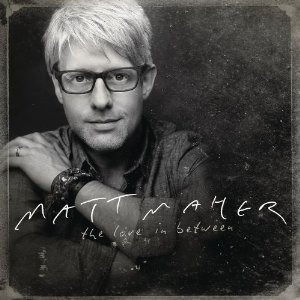 I’m a huge fan of Catholic podcasts, since I’m definitely an auditory learner. I love to listen to podcasts while I’m cleaning my house or on the treadmill. I’ve got a long list of favorites in iTunes as well as the talks from Lighthouse Catholic Media. No kidding. My house is a disaster most days, and a housekeeper would be a welcome blessing. Sign her up for 3 or 6 months to get things back on track. You can go to your local parish and request a Mass date. On that day, the special intentions will be in her honor. My dear friend Kathryn had a Mass dedicated to my brother in law after his death, and it stands out in my mind as one of the kindest things anyone has ever given me. Some day, I’d love to have a keepsake Nativity set from Fontanini. For now, while I still have many small children at home, I need something a little more childproof. You could consider a wooden set if she has small children, or something more fragile if her children are grown. 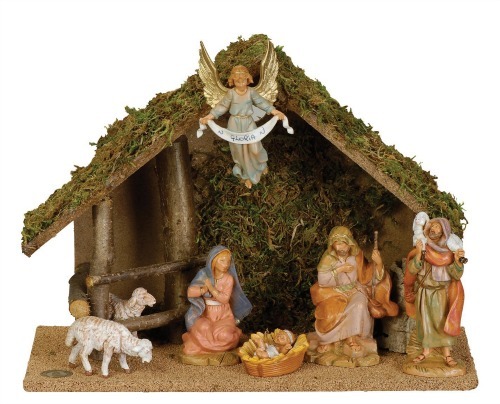 Don’t miss these ideas for some childproof Nativity sets, especially if you’re crafty. Time for a confession — I don’t have an Advent wreath. I always forget to buy one, until we’re halfway through Advent. 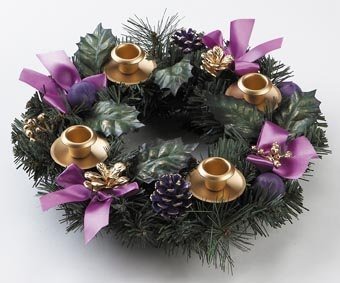 If you’re an organized gift giver, an Advent wreath would be a perfect early gift for a Catholic mother. Don’t forget to pick up candles, as well as the books O Radiant Dawn and Welcome Baby Jesus for Advent reflections and activities. One of my goals is to get to Mass more often, especially during the week. 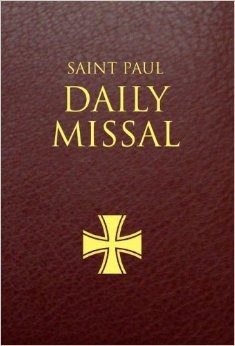 Some parishes don’t have the readings for Daily Mass, so I’d need a missal. I have one similar to this for Sunday Mass, but could use this during the week. Even though I have Google Calendar and my iPad, there’s something about a beautiful fresh planner and fancy pens. 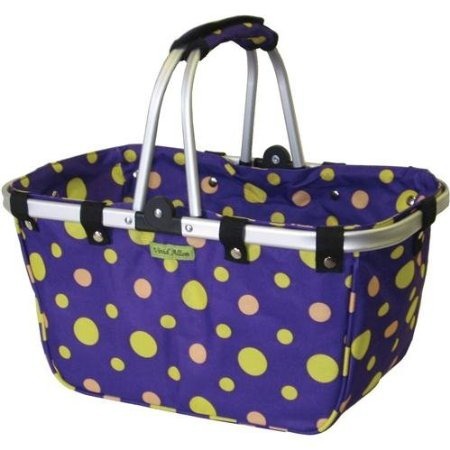 You could even fill a basket with lots of smaller gifts to delight her day. Looking for gift ideas for Catholic children? Don’t miss my friend Jen’s gift guide for Catholic Kids. 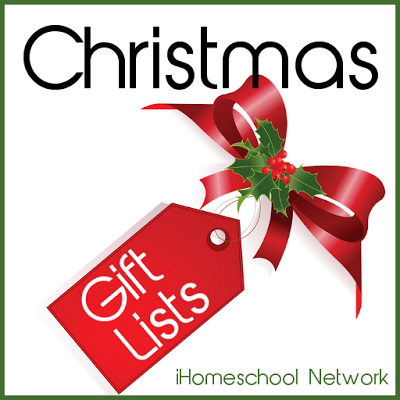 This post is part of a giant gift guide linkup, brought to you by the bloggers of iHomeschool Network. Don’t miss it! Do you have a favorite gift idea? Leave it in the comments and I’ll add it in! 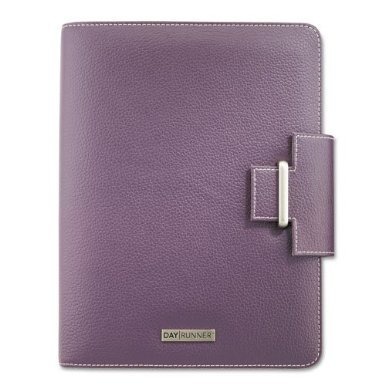 How about a Catholic planner from michelequigley.com? My very favorite planner, made by a family in the USA. Thanks, Barb! Off to check that now! I loved looking through your list as well! So fun! Oh! I like the music suggestions. My oldest daughter (11) wants an mp3 player and wants to listen to pop music and whatever else her friends are into. I might try introducing her to some of your suggestions; they will hopefully make her feel more “grown up” and yet we can all enjoy listening along as well…. much more so than with say, Taylor Swift. HOOOORAY! Great to see you here, Kelly. I’ll be honest, we listen to a lot of ‘older music’ — my kids love The Beatles and Rolling Stones, along with Michael Jackson, thanks to my husband! The crap on the radio makes me a little insane. I’ve popped in before, honest! I’m just the worst at leaving comments. I know — I read a lot of blogs on my iPad, and it’s a pain in the bootay to comment. Love the basket – and the artwork was so beautiful I had to add it to my Amazon wish list! I love nativity sets. My husband has a Fontani one from his parents, I have one I bought at a fair trade store, and our son has a Fisher Price Little People one but I still feel like WE need one together as a family.